1 750ml bottle of 190 proof Everclear – If you can’t get Everclear in your state, high proof vodka can work also. About 1 cup of Captain Morgan Spiced Rum – Two cups tastes pretty good also… just saying. 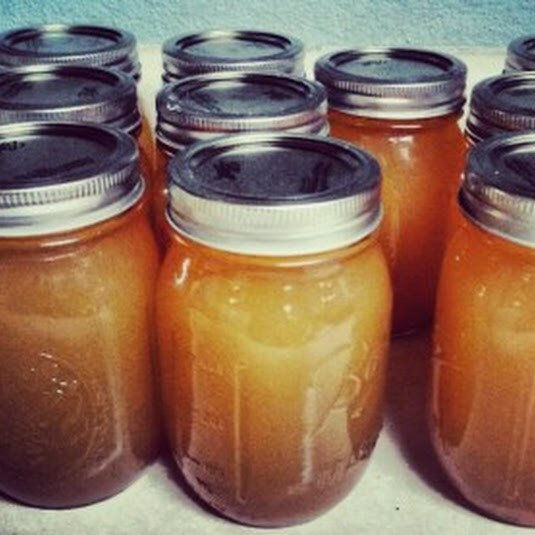 At that point, you are ready to jar the apple pie moonshine in the mason jars. Don’t be afraid to put a cinnamon stick in the jars either. As the apple pie moonshine ages, the cinnamon and sugar blends out the alcohol taste to an almost undetectable level. Again…YOU HAVE BEEN WARNED!